Let me preface this by saying that I'm not even sure if I believe in astrology—I'm a disorganized type B virgo who identifies with approximately two of the "classic" virgo traits (and therefore, take my horoscopes with a grain of salt). But what I can only describe as my innately human desire to understand myself and the world around me has led to an obsession with astrology nonetheless—in high school, I printed off my entire 20-page birth chart and highlighted the most intriguing parts, I most definitely know all of my ex-partners' astrological signs, and now, along with several of my co-workers, I've devoted hours of my life to the Co-Star astrology app. The minimalist app generates your entire birth chart for you using data from NASA and allows you to compare your chart with other users, which is precisely what makes it so interesting (and addicting). For the uninitiated, your birth chart is a map of where all of the planets were in their journey around the sun at the exact moment you were born—you'll need your birthday, city of birth, and time of birth to get an accurate chart reading. Birth charts essentially give you a more comprehensive picture of your personality instead of just subscribing to one sign, and, in my opinion, make astrology more viable and realistic as a science. Once you've input your information, Co-Star gives you a detailed birth chart in addition to real-time, daily horoscope updates, depending on the current placement of the planets. The updates are split into three categories: Luck & Opportunity, Changes Afoot, and Frustrations & Challenges. You can then read about each update in-depth, depending on where it's categorized. 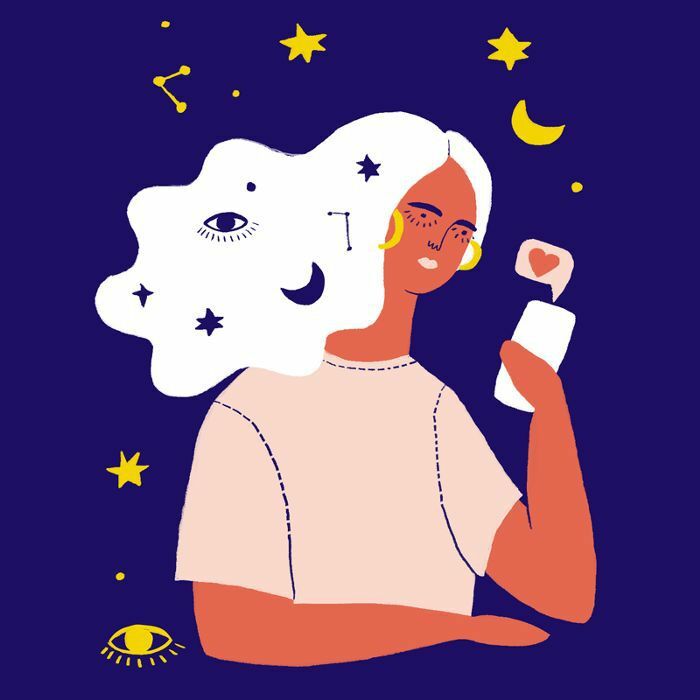 The app gets interesting when you add a few of your friends and colleagues—you can see your exact astrological compatibility with each person, including where you align, where you can see eye-to-eye, and where you clash. In other words, it gives you insight as to how well you get along with each user and enables you to see where the other person is coming from personality-wise. Understandably, the app has surged in popularity since debuting in October of 2017, garnering 4.9 out of 5 stars and 5200 reviews in the App Store. Download the Co-Star astrology app to see for yourself!